Need another frame for your DAA Optics Alpha Model? you can now purchase extra frames in three colors - Tactical Matte Black, Glossy Black/Blue or Glossy Black/Red. Note: The new frame features the take-down/release button on the inside of the frame side arm while the older models have these on the outside of the arm. 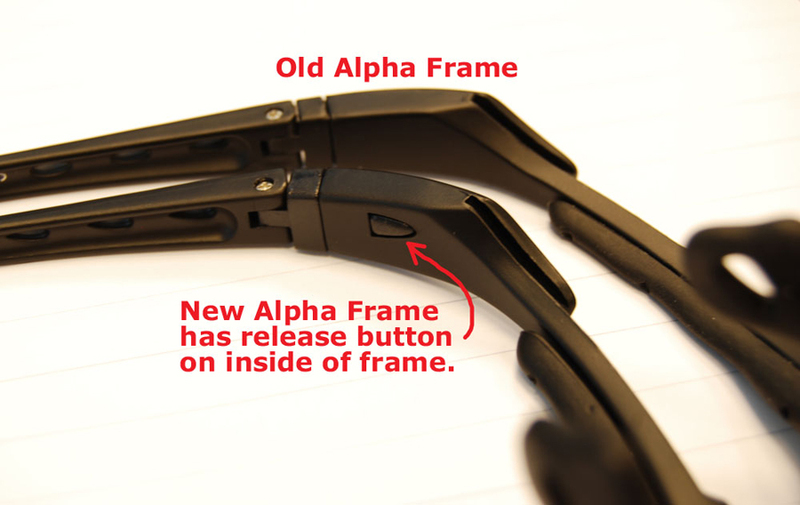 If you require the older generation Alpha frame with the take-down button on the outer part of the side arm then please make a note of this at checkout, otherwise we will ship the new model.